Readers learn how to design and make their own stunning sweet tables, complete with cakes, cookies, cupcakes, cake pops, whoopie pies, macaroons, and many more sweet treats. 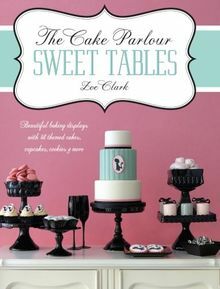 The book features six gorgeous sweet table themes, with over 40 cake decorating projects, each designed to be colour coordinated and visually stunning. Zoes Vintage Cakes: 30 moderne Tortendesigns im Vintage-Stil.